Fabulous and Brunette: Sophie Washington: The Snitch by Tonya Duncan Ellis - Book Tour - Guest Post - Giveaway - Enter Daily! Good morning James! Thanks for stopping by on my tour and good luck on the giveaway. Thank you Ally for featuring me on your blog! Thanks for taking time to read the post Nikolina. Have a great day! My newest book, Sophie Washington: Hurricane is available on Amazon in ebook form now and the paperbacks should be released in a couple of weeks. Sophie and her family have to evacuate from their home when a natural disaster strikes Houston. I'm working on the 6th book in my series Sophie Washington: Mission Costa Rica now. Sophie and her friends and family have exciting adventures in the jungle during a Spring Break mission trip, including having run-ins with a boa constrictor and howler monkeys. I come up with ideas for my covers myself and submit them to an illustrator I work with who draws them. 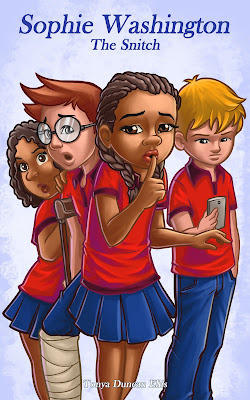 In Sophie Washington: The Snitch, the main character has a secret so she’s making a shushing motion. Thanks Rita! I appreciate you stopping by. Thanks Bridgett you can order copies on Amazon and Barnes and Noble.com. 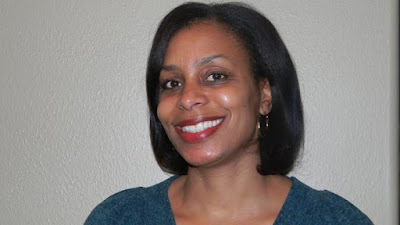 I write middle grade fiction. The chapter books are geared to kids ages 8-12. Do you have any children? Do they look over your book before getting published? I have three kids. I do read my stories to them to get their input. Are you planning on making this a series? Sophie Washington: The Snitch is the 2nd book in my series. I have five total books in the series right now. What are your kids favorite books? When they were smaller they liked books like mine and adventure series like Percy Jackson and Harry Potter. Who were you rooting for with the superbowl this past weekend? I don’t watch football much. I usually sit with my family and read while games are on. They are big sports fans and we have a huge Super Bowl party every year. I’m glad Philadelphia won because most of my guests were rooting for them. :) My favorite part is the halftime show. Are you a reader as well as a writer? Definitely! Reading is my favorite pastime. I love to curl up with a good book. Last day! Congratulations and wishing you much luck and success in your writing future!